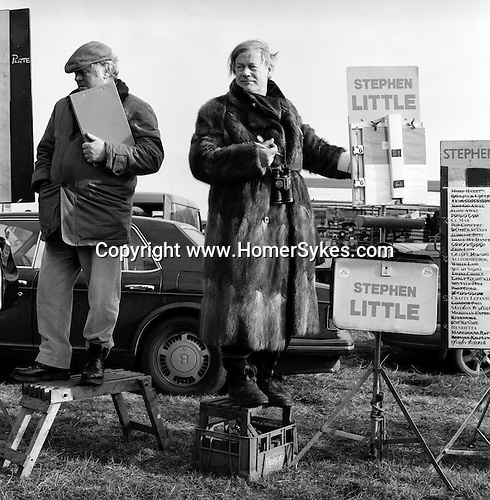 Hare Coursing...Stephen Little, a well known bookmaker, wears a fur coat at the Waterloo Cup. Near Altcar, Lancashire...Hunting with Hounds / Mansion Editions (isbn 0-9542233-1-4) copyright Homer Sykes. +44 (0) 20-8542-7083. < www.mansioneditions.com >..